Iceland is still seldom visited in the winter. The endless nights create a strange sense of timelessness and new possibilities. 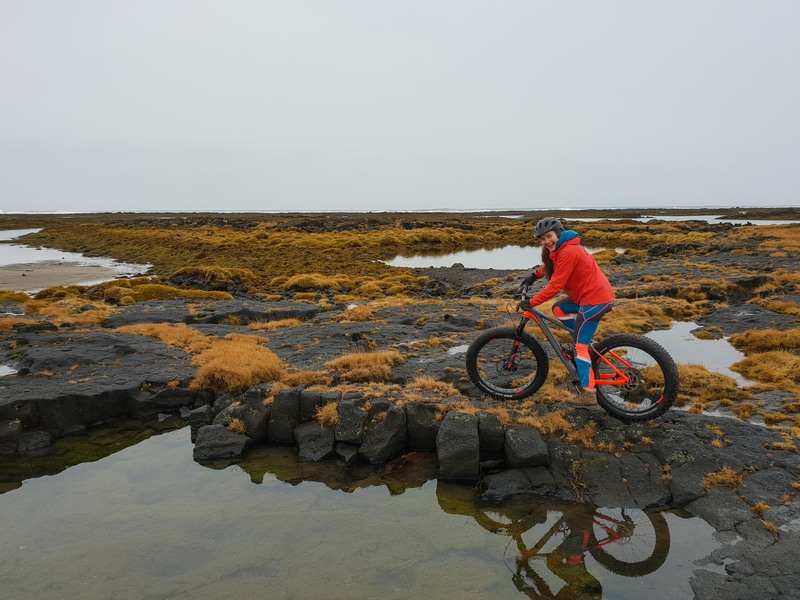 With the uncertain weather in our backpack, we bike through dramatic geological formations. 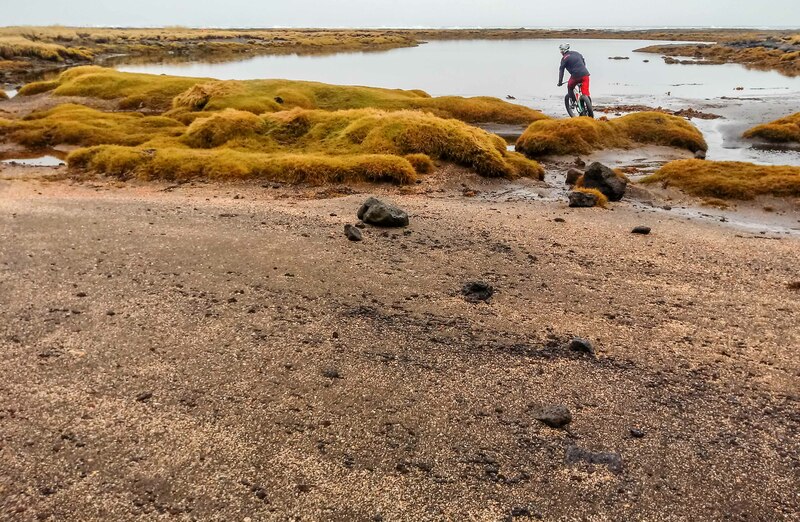 The trails are a mix of gravel roads, earthy/grassy tracks, sandy beaches and rocky lava fields. 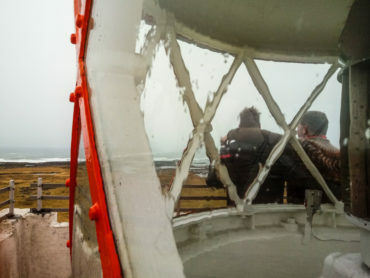 In addition, this tour include a visit to the top of a magnificent, 80 years old, lighthouse where we will get a panorama view along the Atlantic Ocean coastline. The square two-staged light tower of Knarraós is the highest building in the south district of Iceland. It is located just outside of the village of Stokkseyri. 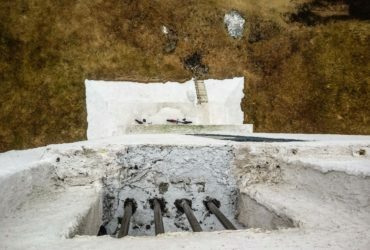 It’s the country’s first lighthouse built of reinforced concrete between 1938 and 1938 and designed in a blend of the functionalism and art nouveau styles. A grassy plain surrounds it and the site is easily accessible but the only key of to the top is kept in the pocket of our guides! If you stay in the area until after 5 PM the perfect way to end the day is to visit the village thermal pool and experience Iceland’s healing energy at the same time. A healthy swim and a soak in the hot jacuzzi leaves you feeling in tune with body and soul. At the same time you´ll get a change to chat with the local´s from the village. They are usually willing to chat and are generous of sharing all the local´s secret places and good plans. Given these points, it is highly recommended! Meeting point: Is at our offices in Stokkseyri at 9:30 a.m. The start of the tour is at 10:00 a.m. The village is within an easy reach of the center of Reykjavik city, about 1 hour drive away.. Pick up option: To and from Reykjavik for 5.000 kr. per person. Group size: From 2 – 6 participants. Duration: ~ 2 - 3 hours. Level: This winter adventure is designed for intermediate to advanced rider. For the most part it is suitable for active people with good skills of biking. In fact, the fitter you are the more fun you'll have. Flexible itineraries take account of fitness, weather and participants’ wishes. 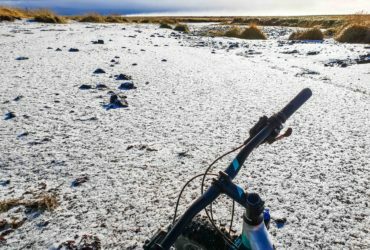 Keep in mind that in Iceland the weather can change quickly and wind, snow and rain is common. Lunch: We recommend the excellent restaurant "Við Fjöruborðið" www.fjorubordid.is, an enchanted place of delight, famous for delicious small lobsters. 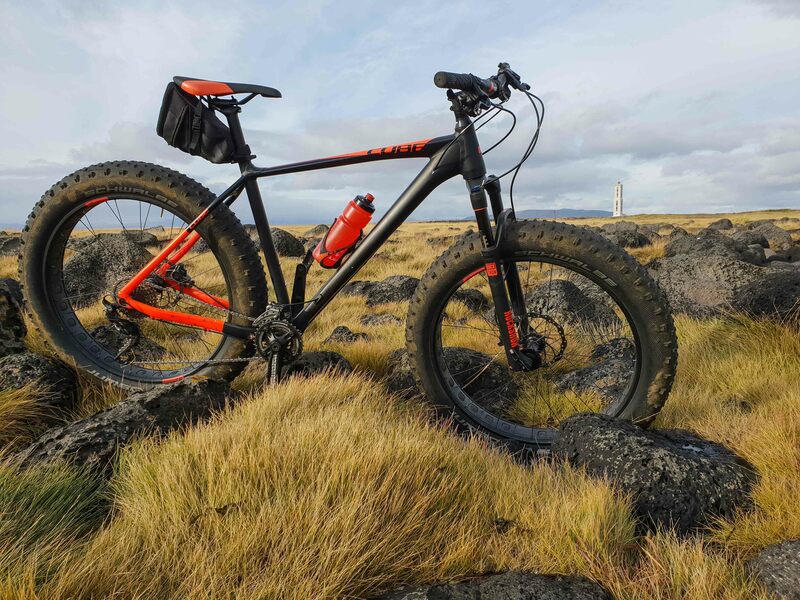 The bikes Our bikes are Cube Superlite Fat bikes with Rockshox front suspension fork and weight only 15 kg. This bike is suitable for all bikers in all range of levels. Your personal equipment Bring a small backpack, warm clothing, winter gear, good outdoor shoes and warm gloves. 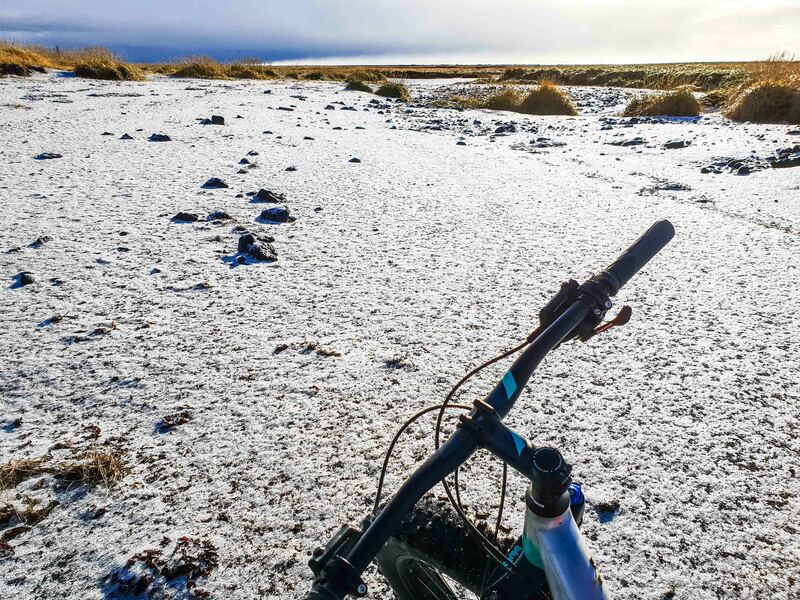 Be prepared to ride in challenging weather conditions, like cool snowy days with wind and exposure to the elements. The temperature can dip down to below -5°C (below 20°F) and to warm up to 5-15°C (40-60°F). The village of Stokkseyri: The seaside village of Stokkseyri is a small and beautiful village; build up by old picturesque wooden houses and present population of nearly 500 inhabitants. 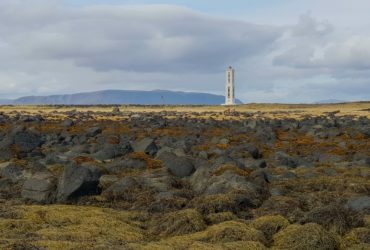 Stokkseyri was the most populated county in Iceland two centuries ago. Rich handcraft and cultural life is held in high esteem in Stokkseyri. 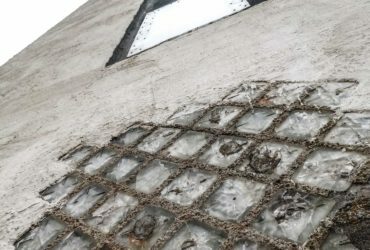 Workshops and galleries, Ghost Center and the Elves and Northern Lights Museum are all situated in a Cultural Center, - an old fish processing factory that has found a new role due to changes in the fishing industry. 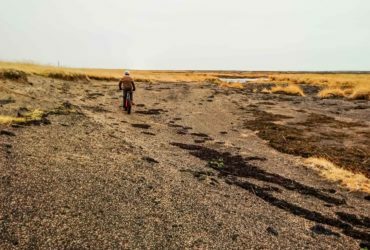 The Wildlife Museum is dedicated to hunting and wildlife, it contains a large number of mammals and birds, and the bunkhouse Þuríðarbúð shows an excellent example of how fishermen had to make use of what nature provided. 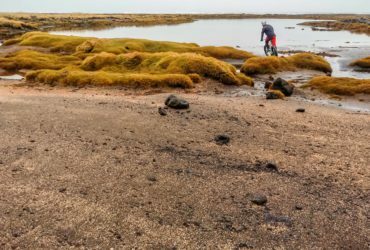 The golden beach of Stokkseyri: The Great Þjórsá Lava is the largest lava flow in Iceland, both by area and volume. It is the largest lava known to have erupted in a one single eruption in the Holocene. It belongs to a group known as the Tungná lavas that first erupted in central Iceland, 8600 years BP (6600 BC). The Þjórsá Lava did not appear on the surface until 70 km downstream of its supposed crater area. 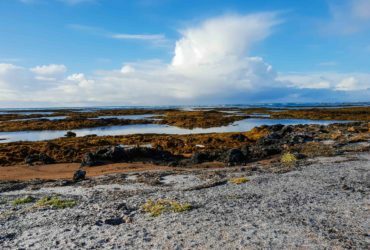 In the lowlands of South Iceland it covers a big districts by the seashore. Two big glacier rivers streams along the edge of the lava field and the 25 km (16 mi) long beach between those two rivers mouths is formed by a dramatic black, moss covered, lava stones, mixed with a golden shell sand. Along with the rising sea level the ocean has transgressed the lava front so its borderline is submerged several hundreds of meters offshore and an interesting littoral zone can be inspected along the beach. This kind of geological formations is unique in Iceland. Its area is around 970 km2 (370 sq mi), the thickness 26 m (85 ft) and the volume close to 26 km3 (6.2 cu mi). Private tour: Are you looking for a unique trip with a unique date? Please don’t hesitate to contact us by email here. Gunnar Valberg and Magnus Ragnar are born and raised in the area of Stokkseyri. Together they manage their own company specialist in kayak tours. 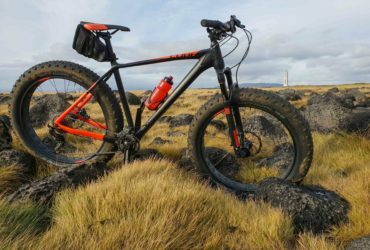 In collaboration with Bike Company we started to develop fat-bike tours, a perfect addition to the kayak adventure. 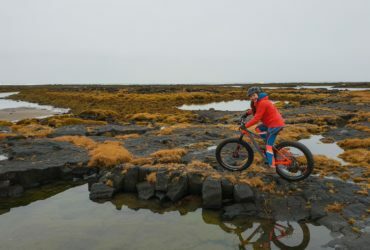 Working as kayak and bike guides allows them to combine their passion for outdoor activities with the daily work. They love to meet people from different countries and the enthusiasm and the knowledge they have for their native area makes them the best guides in the world. They both have a great sense of humor and their contagious optimism for life and nature makes every participant in our tours return home with an unforgettable high-quality adventure experience!